Once a month, my friends and I get together for Girls Night. We rotate houses each time and gather for a home-cooked meal, a terrible Lifetime movie… and copious amounts of vino! With the hustle and bustle of the holiday season upon us, I knew that I wanted to keep things simple and easy for our upcoming gathering. But as a hostess, I feel it’s my duty to accomodate everyone’s tastes and preferences as much as possible. So I decided what better way to cover all my bases than with individual cast-iron pizzas and an assortment of wines from Kuvée?! In case you haven’t heard. 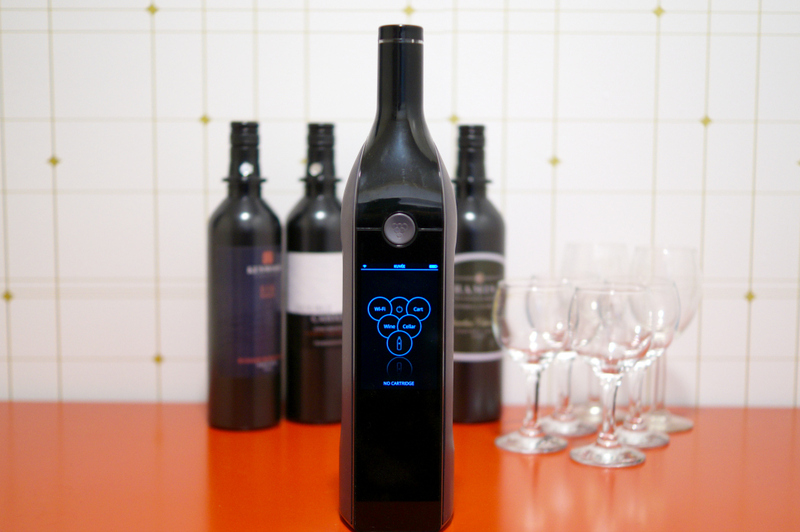 Kuvée’s Smart Wine Bottle is a clever gadget that slows down the oxidation process, allowing you to enjoy your wine for up to 30 days after opening (10 times longer than regular wine). The concept is perfect for intermittent wine drinkers like myself that fear wasting bottles after opening. And as a bonus, the bottle possesses an undeniable cool-factor that will intrigue your guests while satisfying different palates. 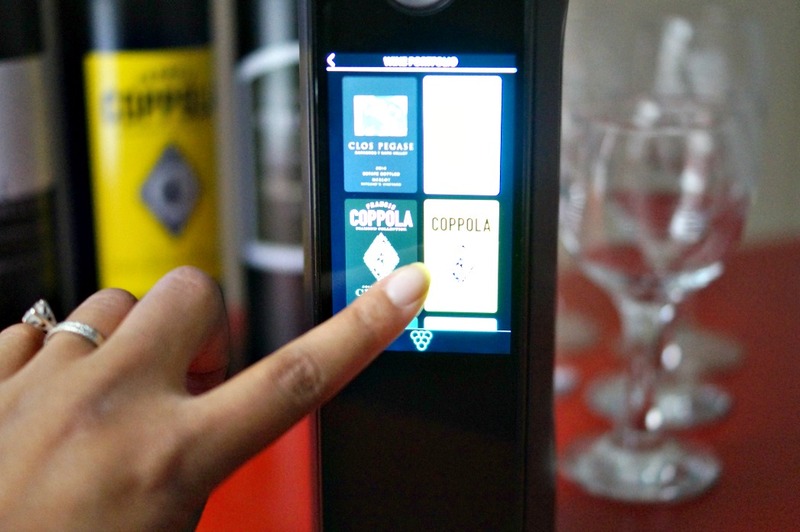 The Kuvée system works with special plastic wine cartridges that you pop into the dispenser. There are currently 48 different selections to choose from – all from the California and Pacific Northwest regions. You can easily switch between different bottles throughout the evening with the press of a button. 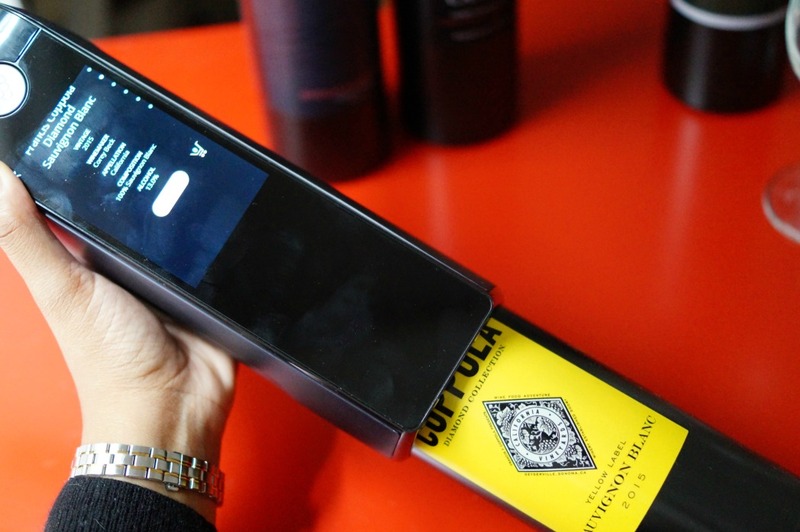 Once you insert a cartridge, the bottle automaticay recognizes the wine and gives you details about it including the type of grape and alcohol content. After you take a sip, you can also give a personal rating which makes it great for building up a catalog of your favorites and finding similar wines in the future. No wine, no problem! 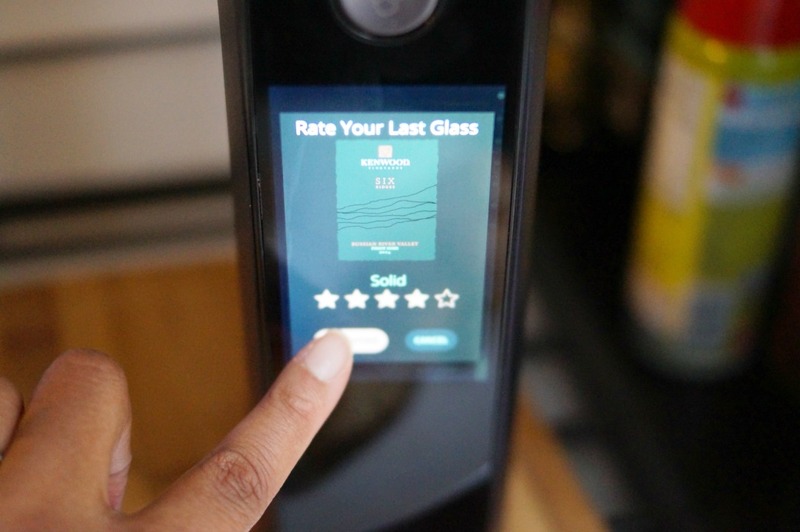 If you find yourself running low, you can easily scroll through the wi-fi connected Wine Library and order right from the bottle. The wines then arrive at your doorstep a few days later. How cool is that?! If you’re looking to splurge a little on the perfect gift for the person who has everything, this is definitely an option worth considering. You can order Kuvée online for $199, and the set also includes 4 starter bottles (valued at $100). So all-in-all, it’s a pretty sweet deal. The pinot noir I’m sipping here was the perfect accompaniment to my pepperoni pizza. Speaking of pizza… you didn’t think I’d leave you hanging on the recipe did you?! The instructions are dead easy, but the taste is incredible. You can make your own crust ahead of time using the recipe below, or simply use a store-bought dough (or one from your favorite local pizza joint) if you’re pressed for time. Once your guests arrive, you can simply lay out the different toppings and let them choose their favorites. This post is brought to you in partnership with Kuvée. I received compensation for this post, and all views and opinions expressed are my own. Thanks so much for supporting the brands that make this site possible!